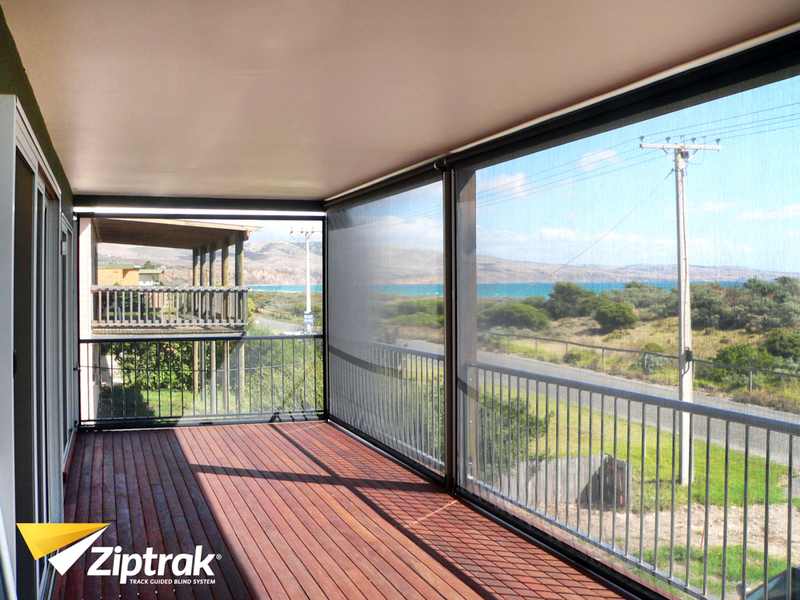 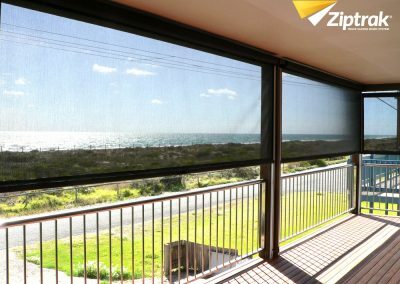 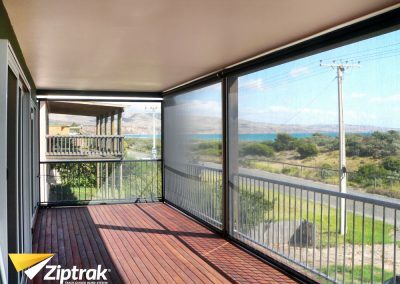 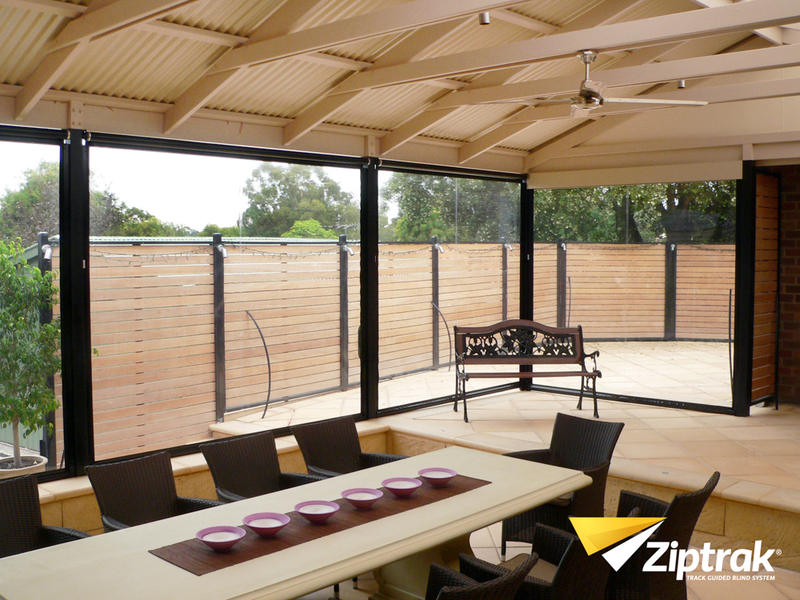 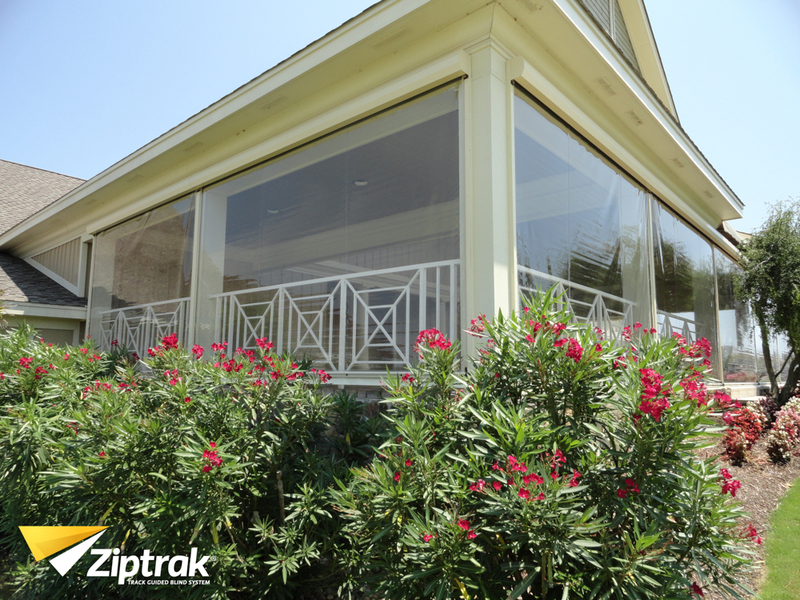 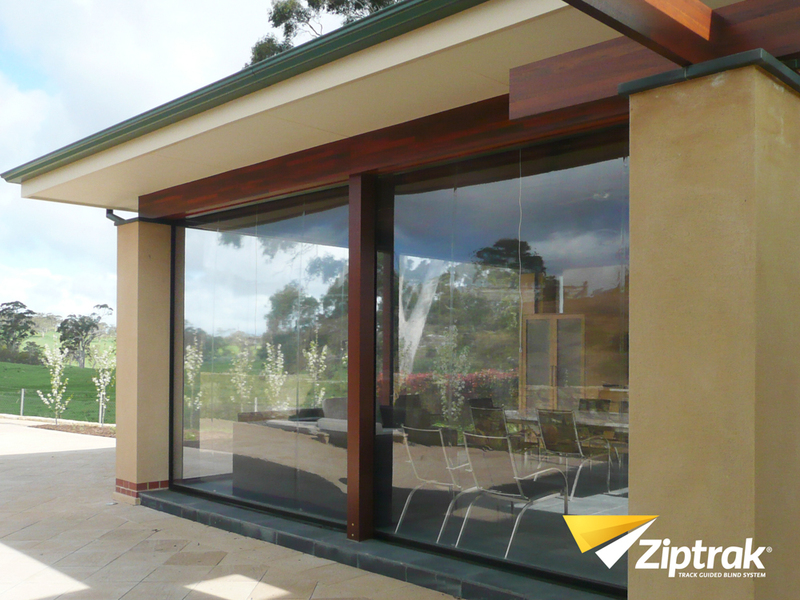 Ziptrak® is an easy glide system which allows blinds to be rolled up without the use of zips or rope pulleys. 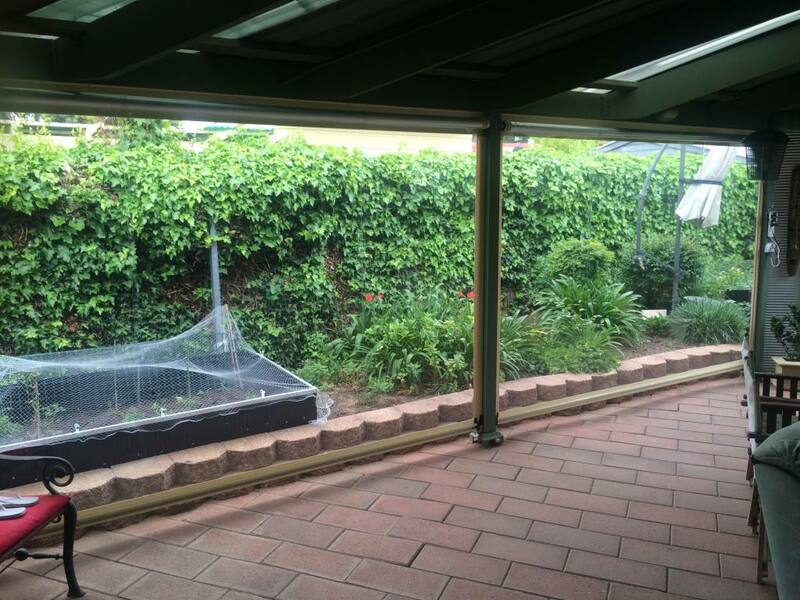 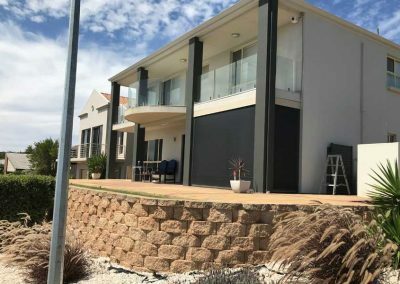 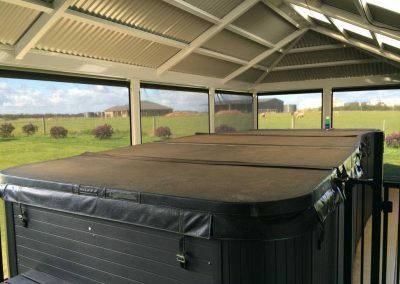 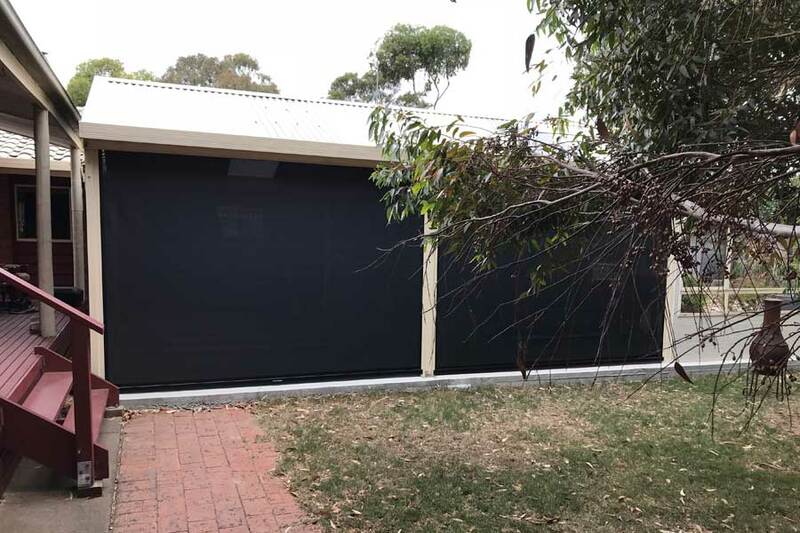 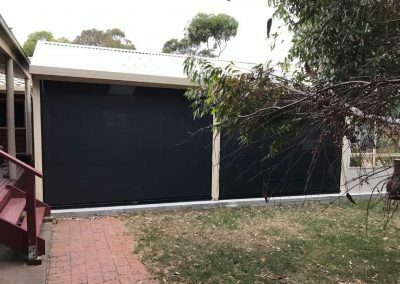 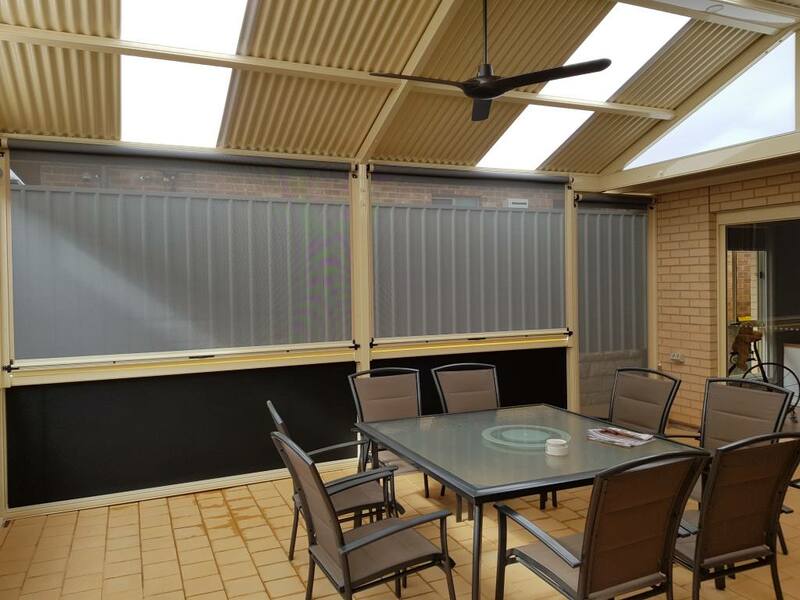 It is set apart from any other with its specially designed slotted tracks between which the blind glides smoothly and easily up and down, and stops at whatever position you require. 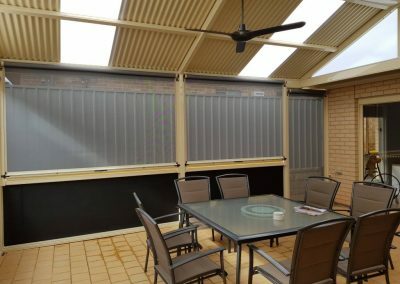 The blind can be locked in the down position. 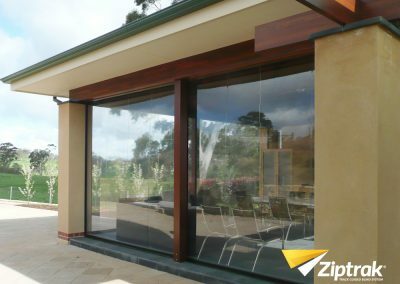 Skyworld can also offer the Ziptrak® system electrically operated. 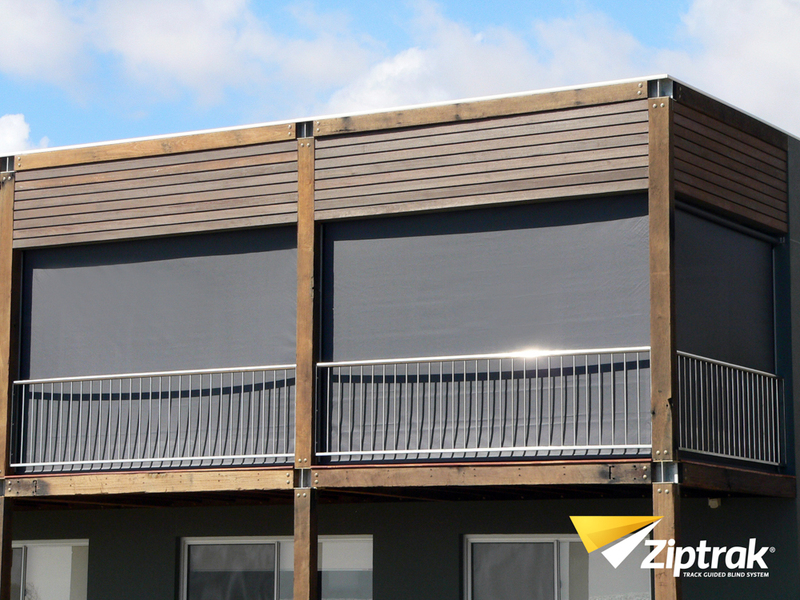 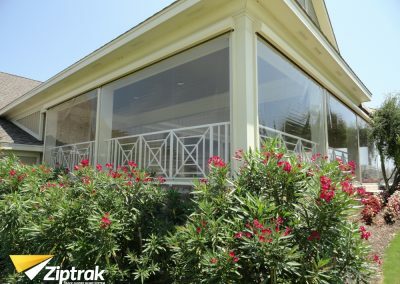 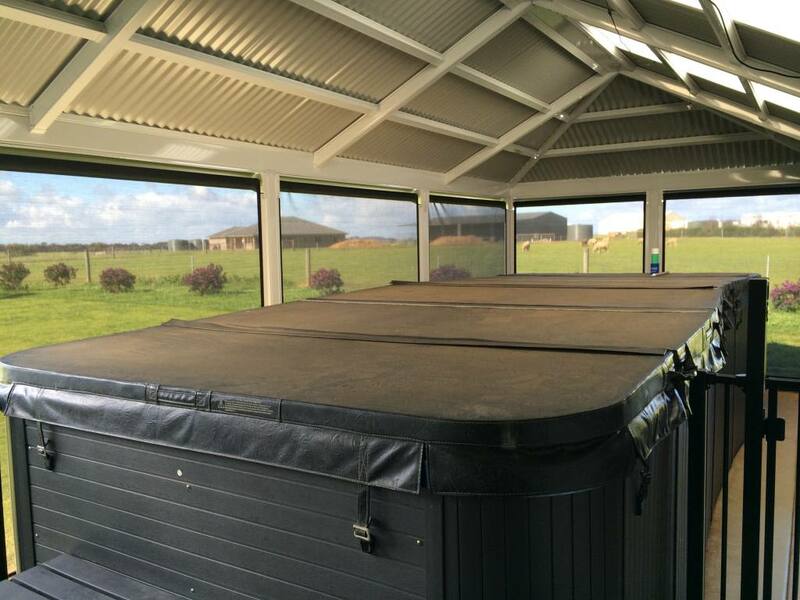 Ziptrak® blinds can be left at any height along the track. 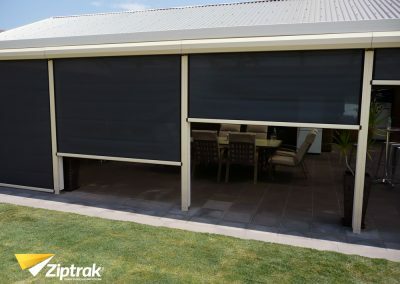 No more heavy lifting or pulling with our track guided blinds. 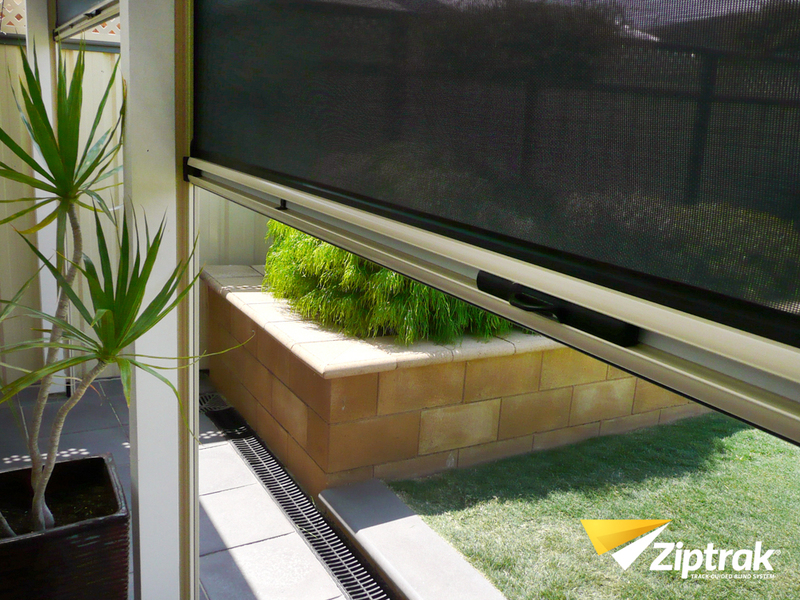 Our Ziptrak® blinds lock into place with an easy release. 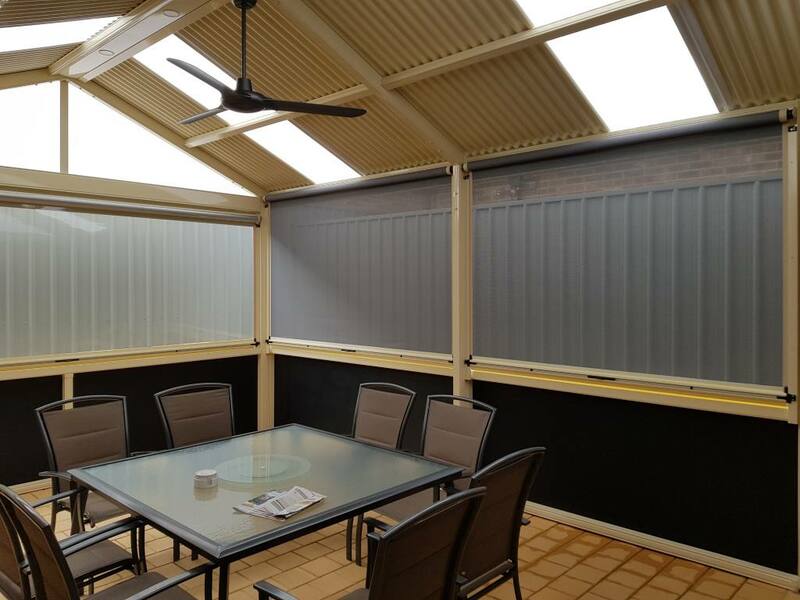 With prior planning, make your new blinds a seamless part of your home. 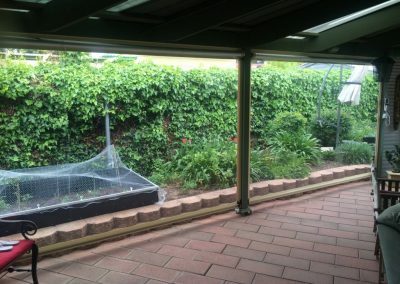 Cover a larger area without pole or supports. 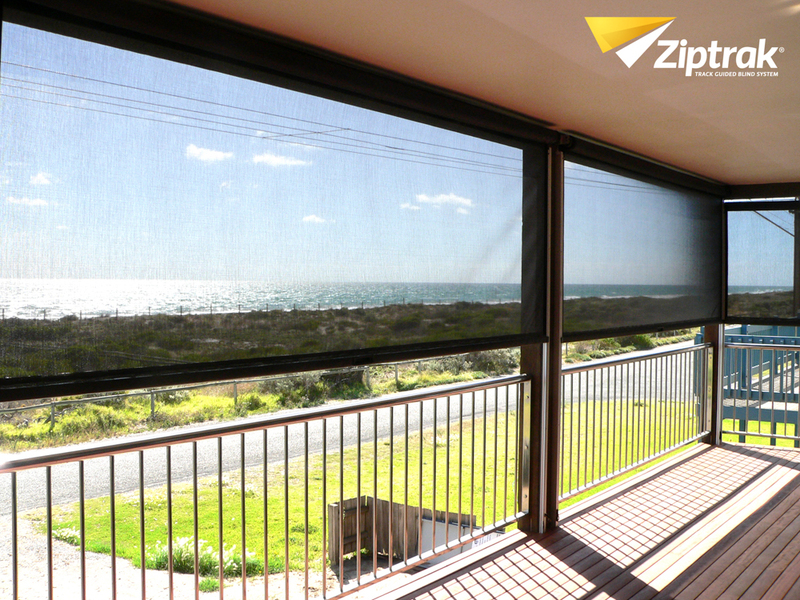 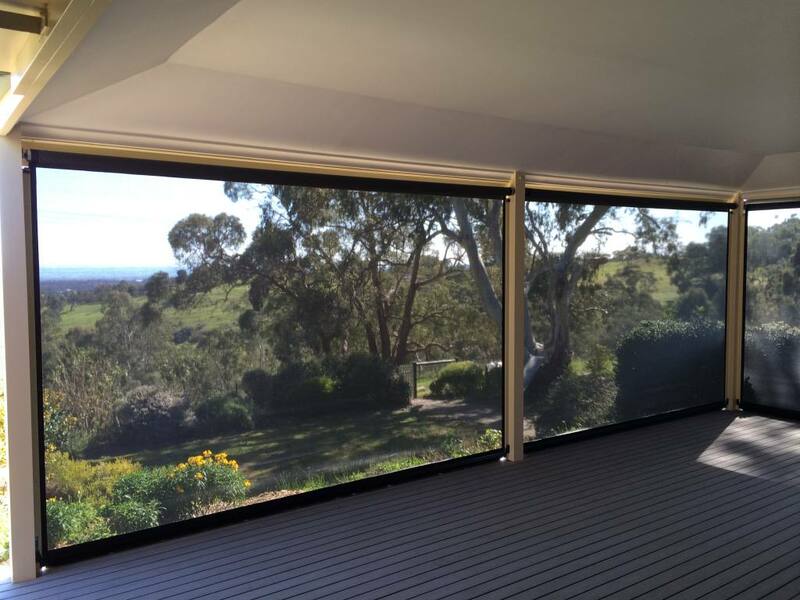 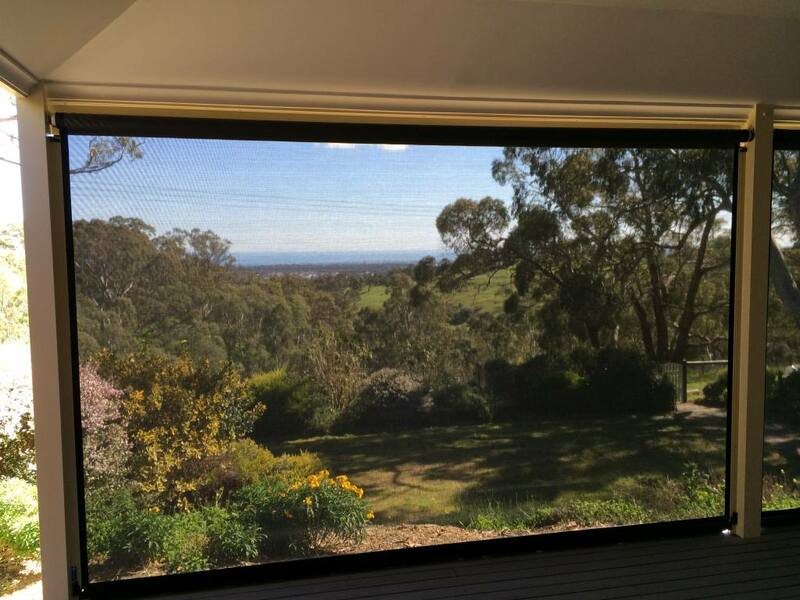 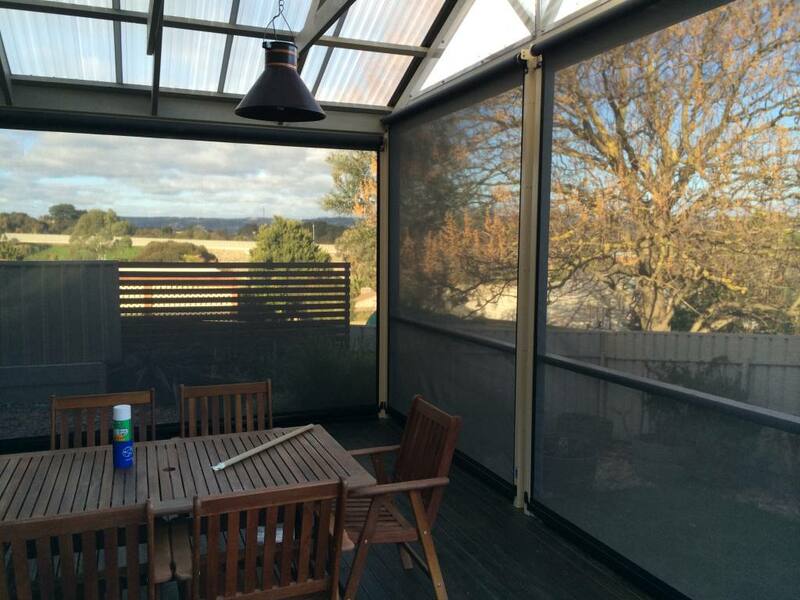 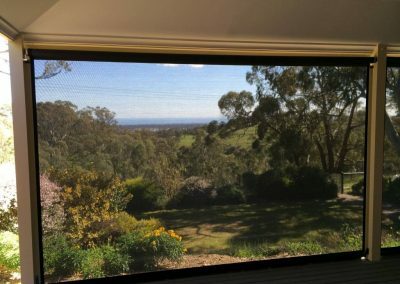 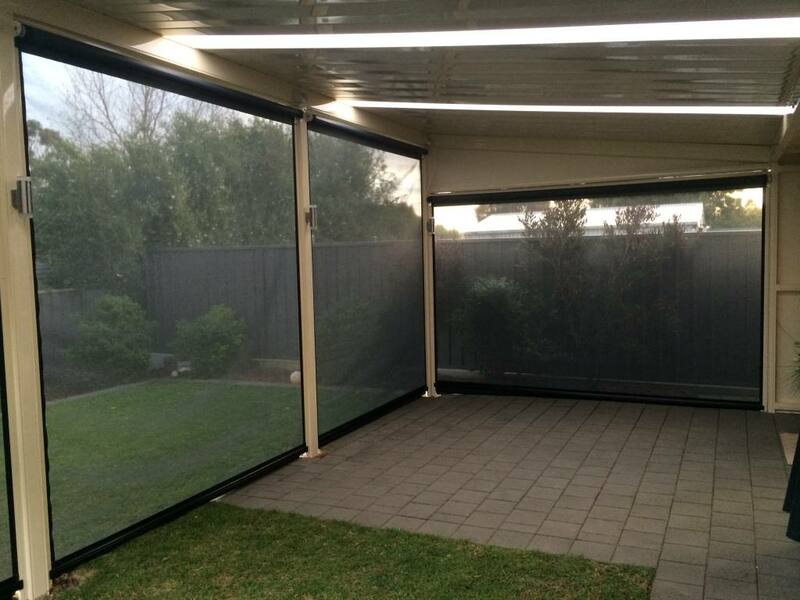 Skyworld use only the best quality, Ziptrak® Blinds – PVC – 0.75mm thick & made in Japan. This is the perfect weight for this system. 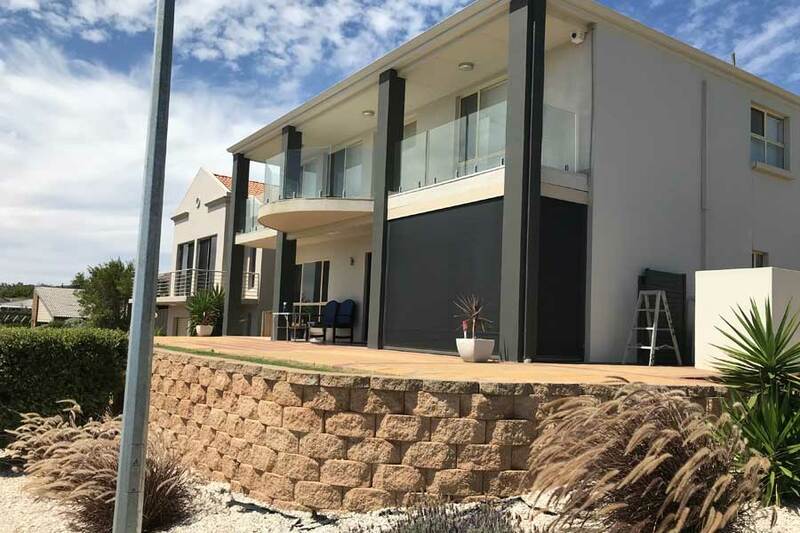 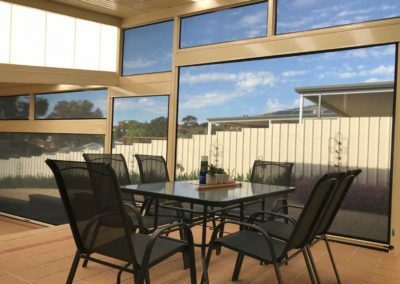 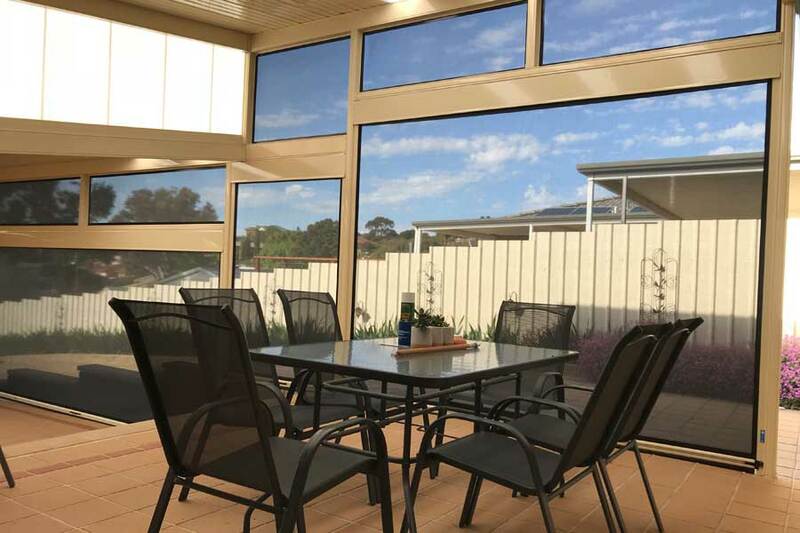 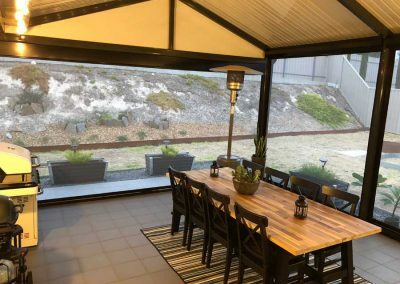 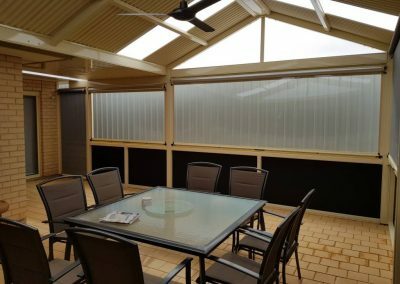 PVC will provide 100% protection from wind and rain ensuring that you are totally protected from the elements and able to entertain outdoors all year round. PVC can be clear or tinted. 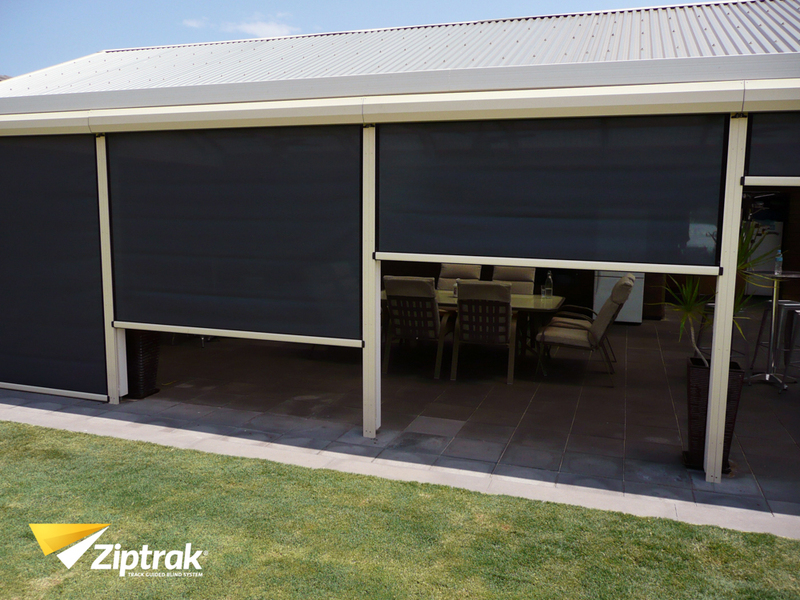 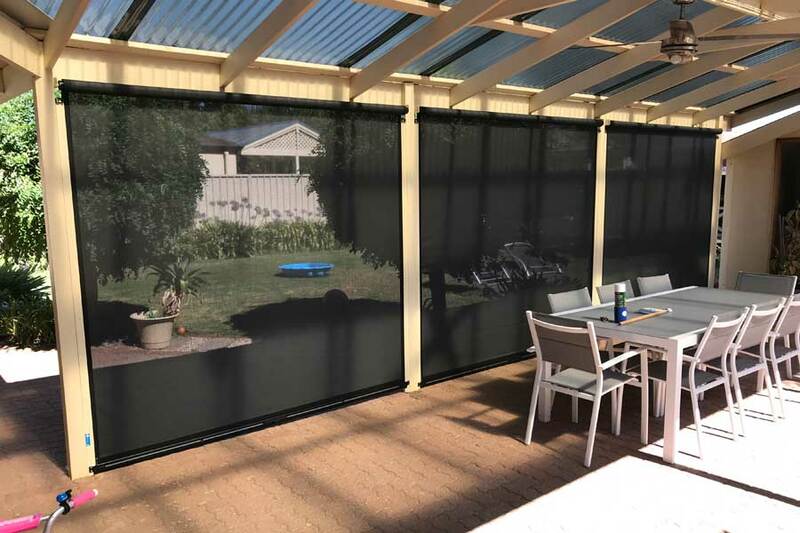 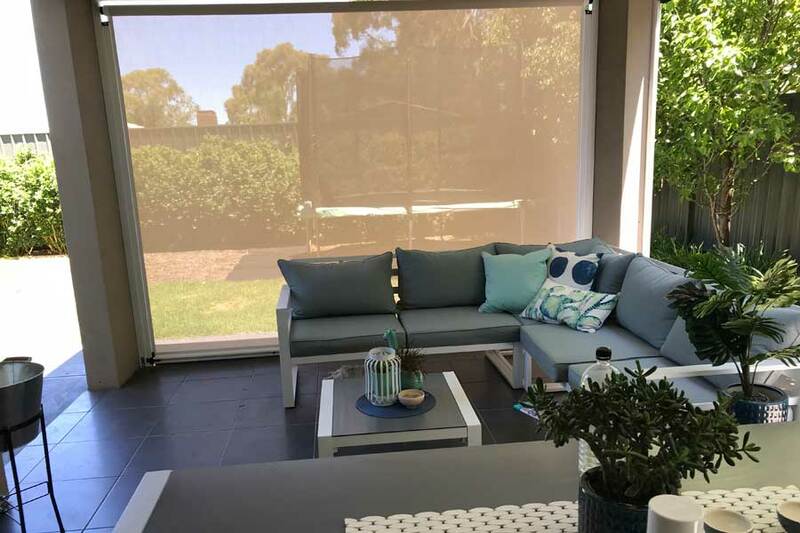 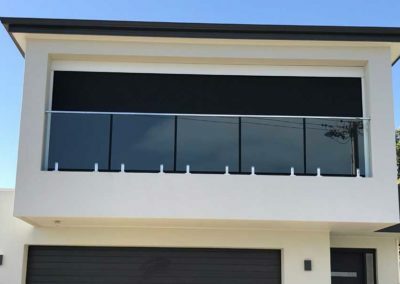 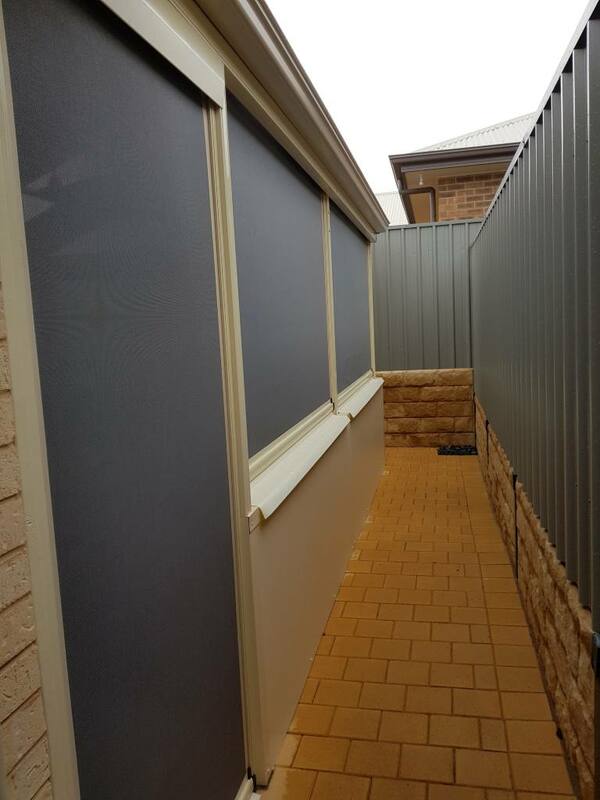 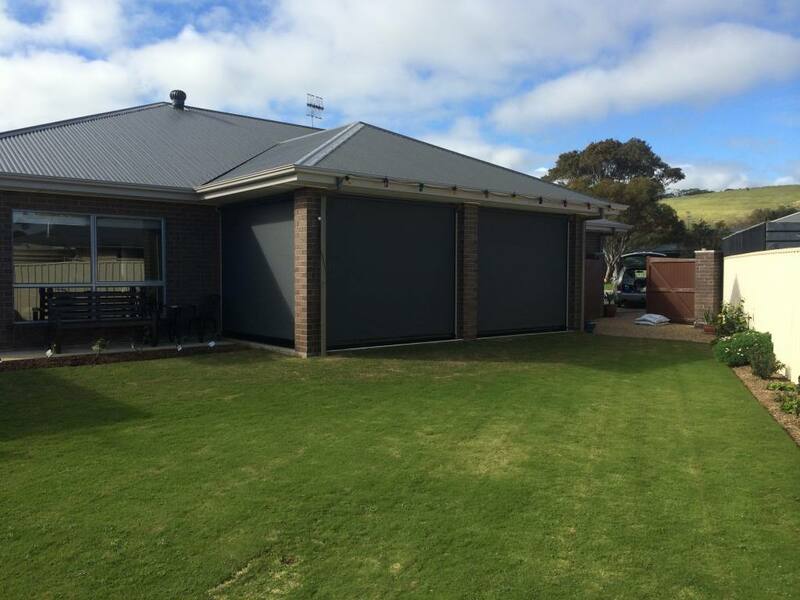 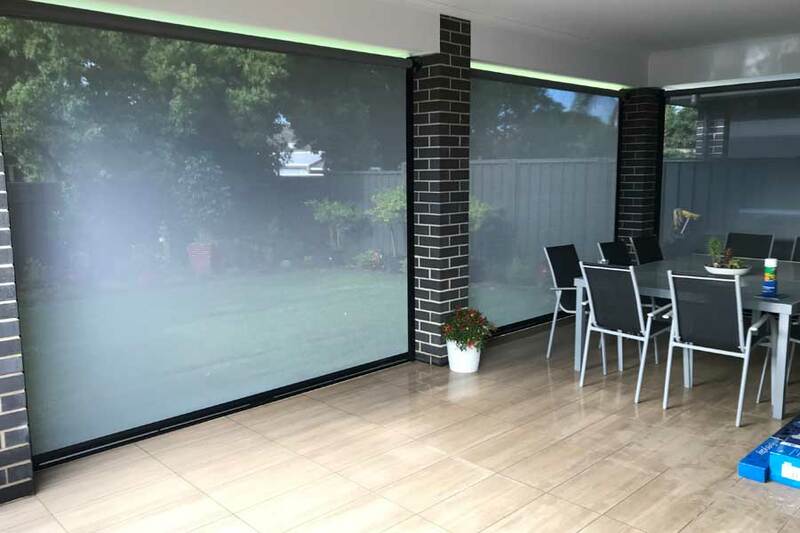 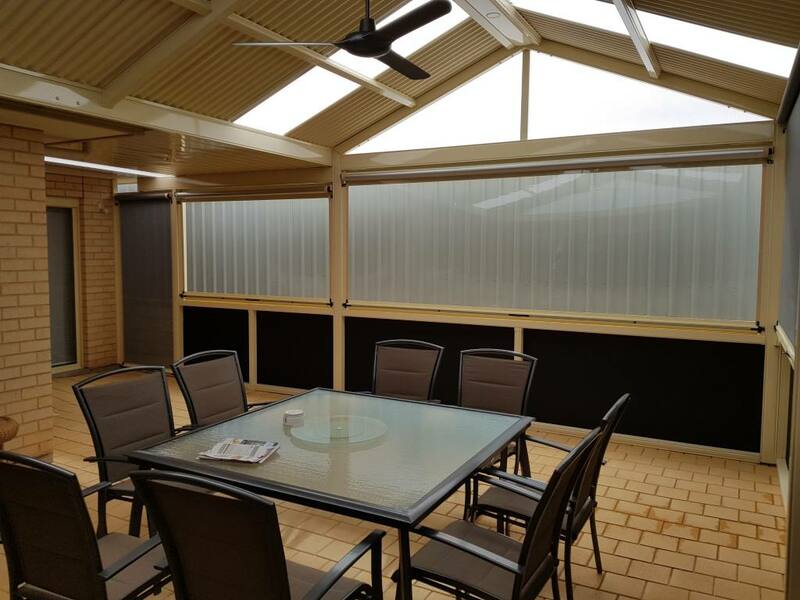 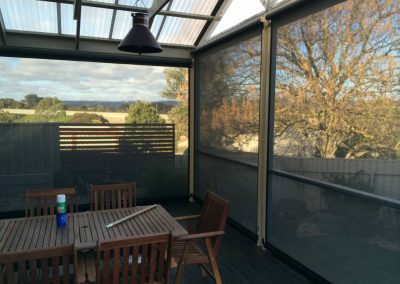 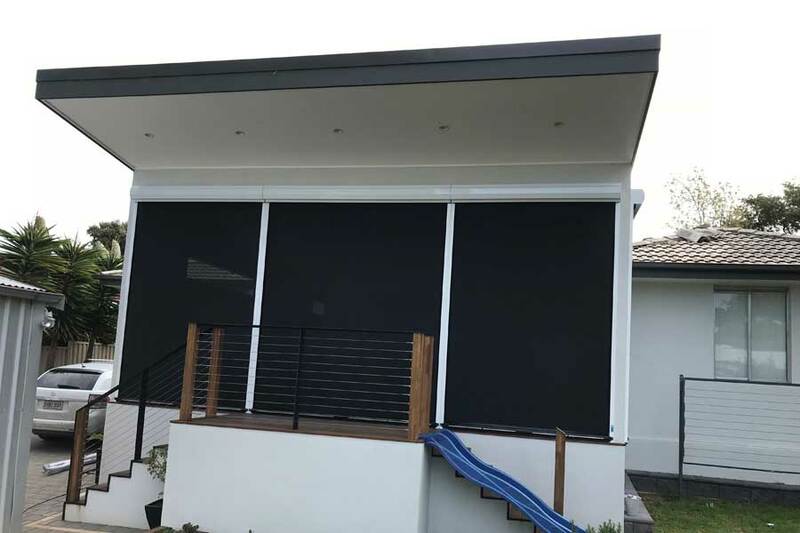 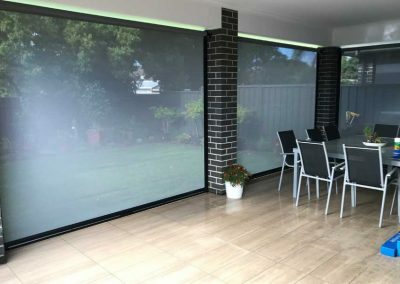 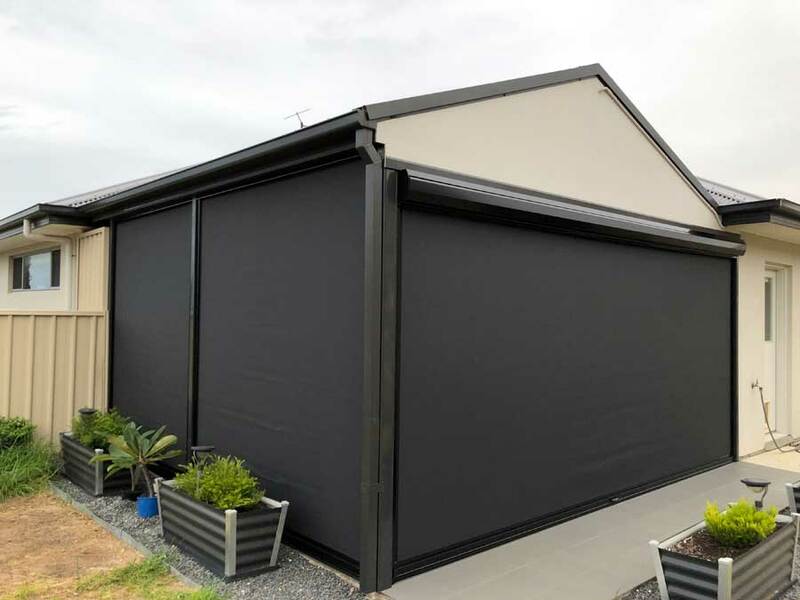 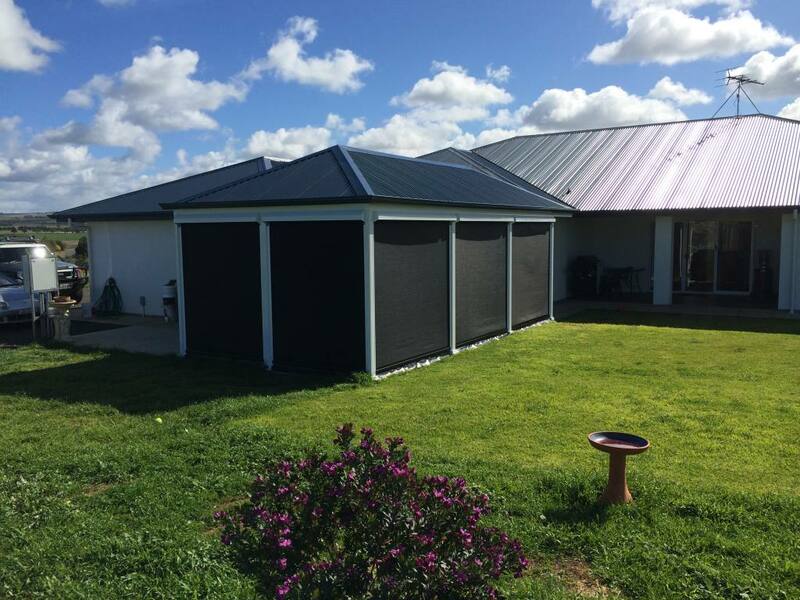 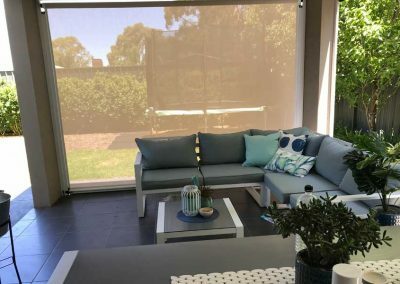 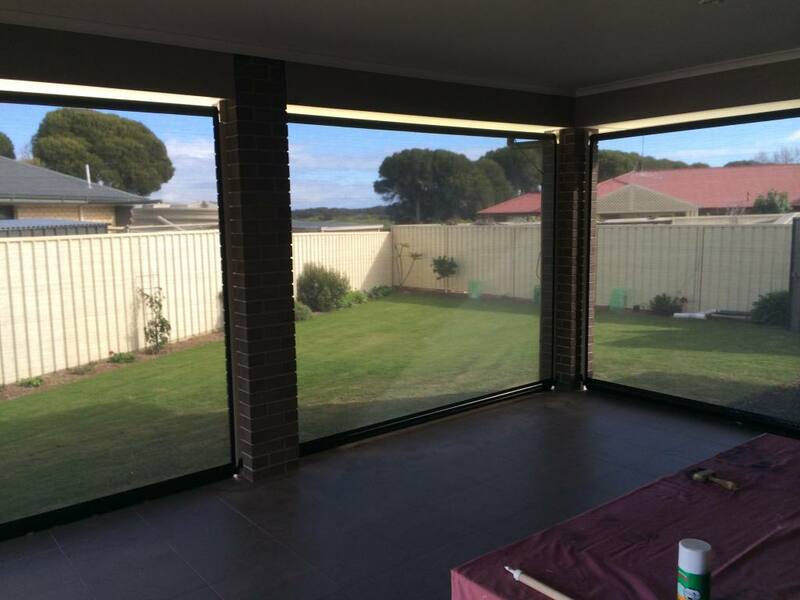 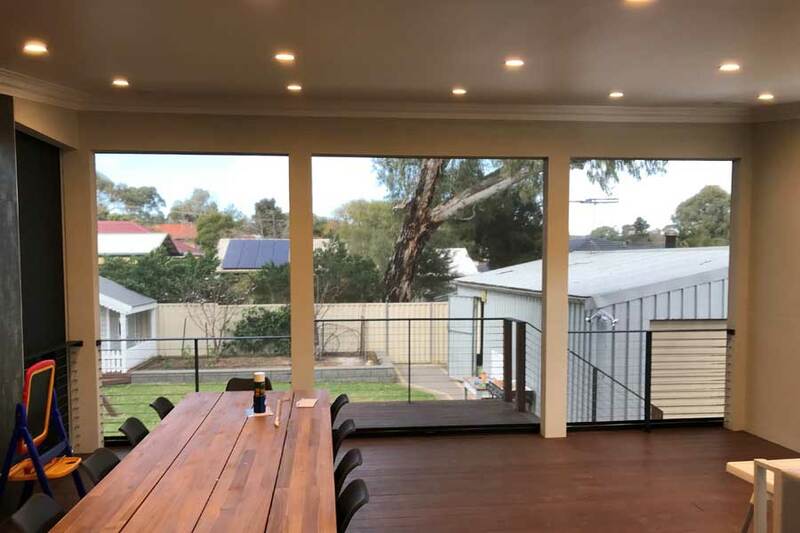 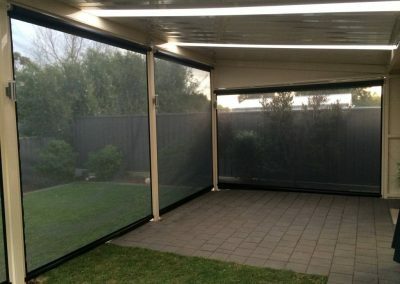 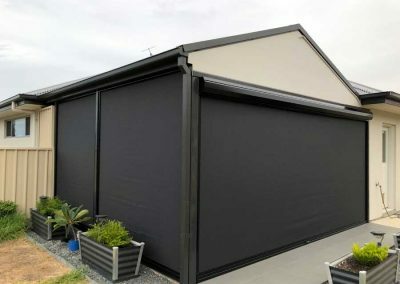 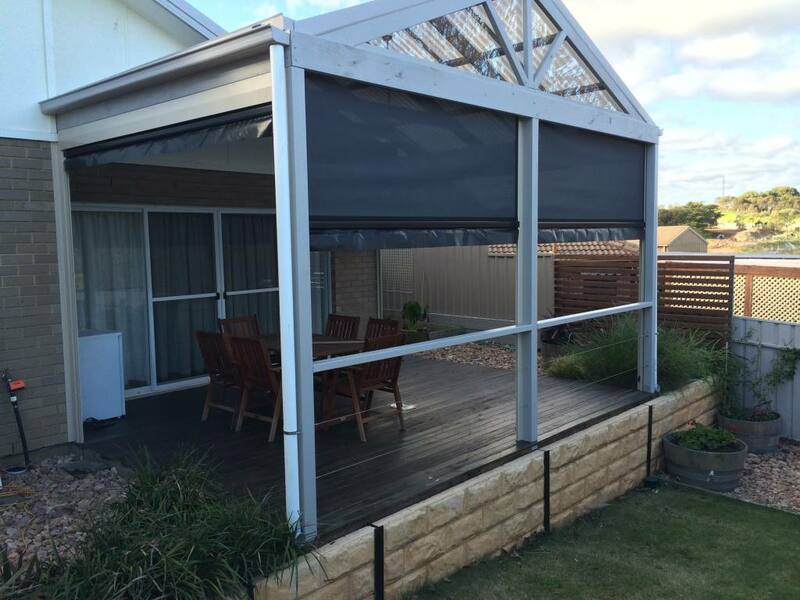 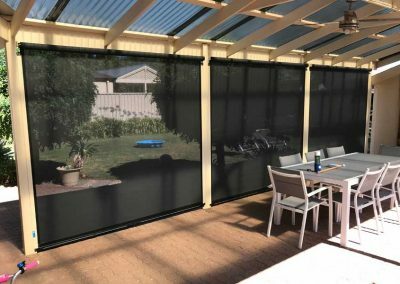 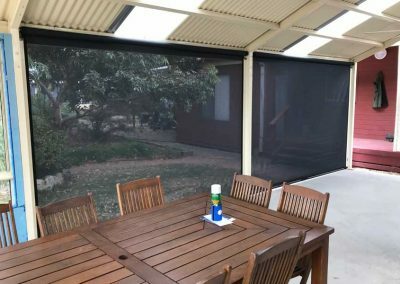 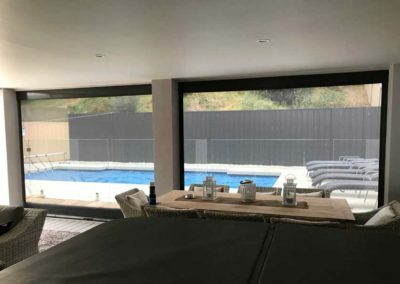 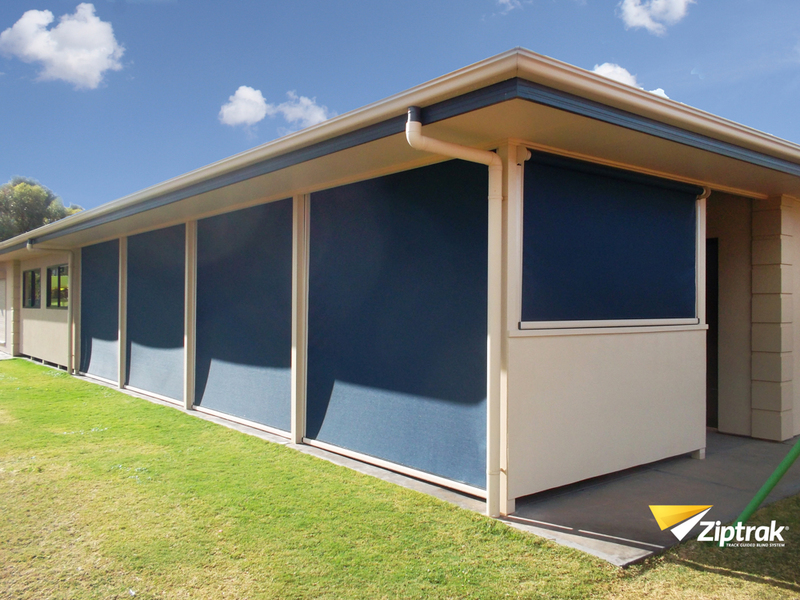 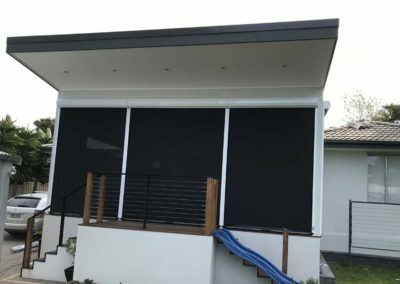 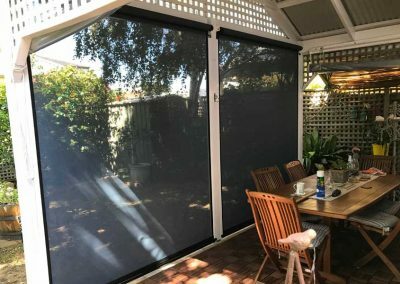 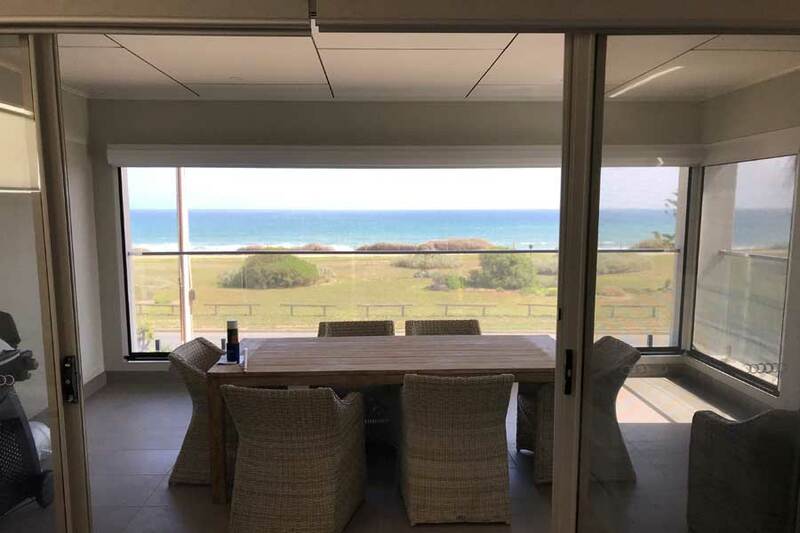 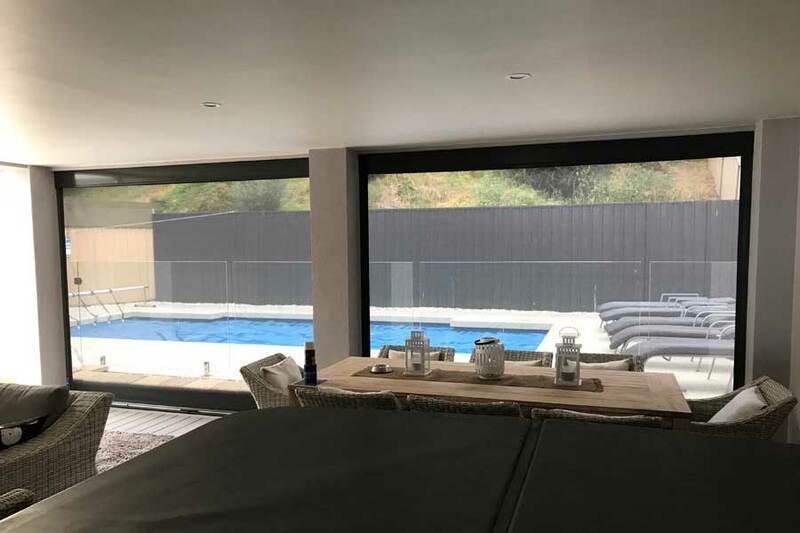 Skyworld use Ziptrak® Blinds – shade mesh that are made of pvc coated high tensile polyester mesh designed for all outdoor applications. 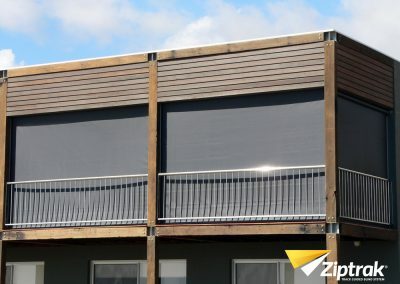 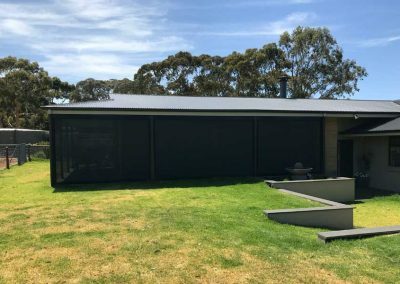 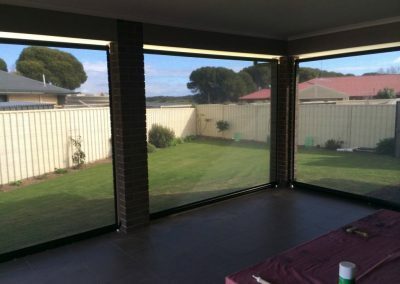 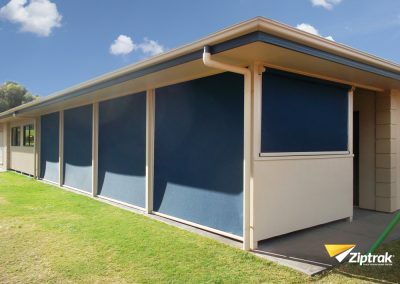 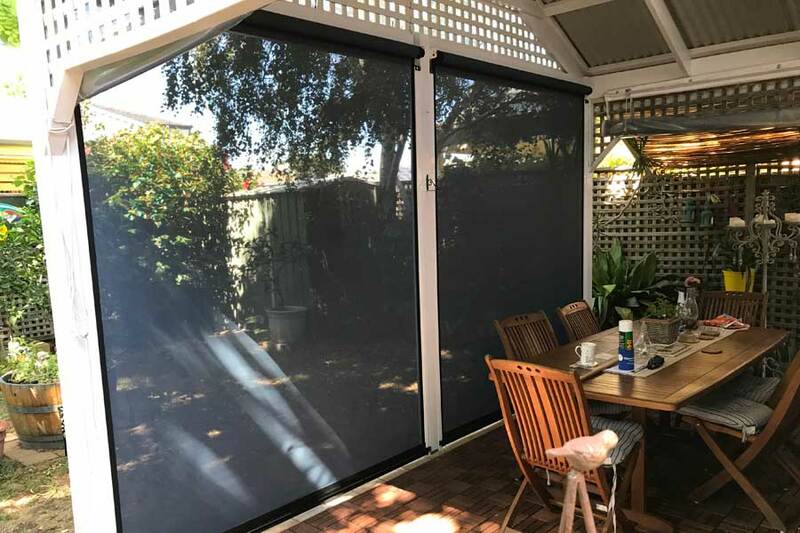 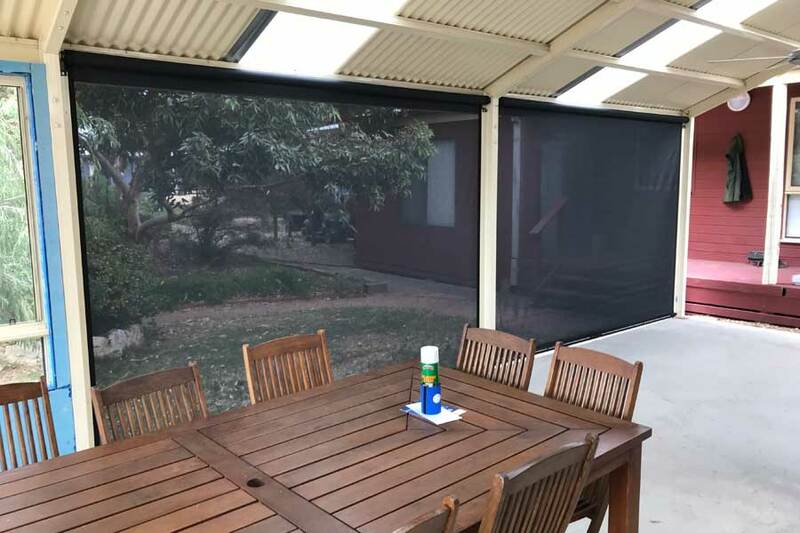 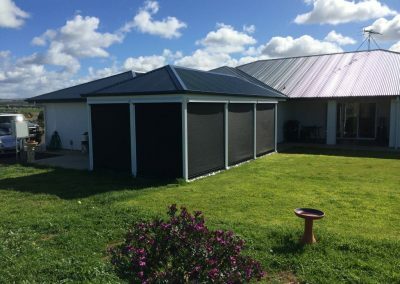 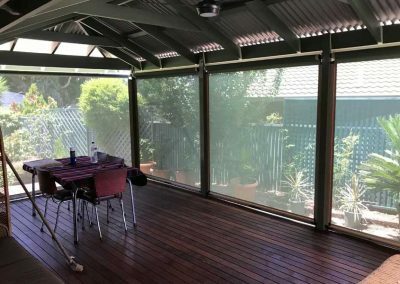 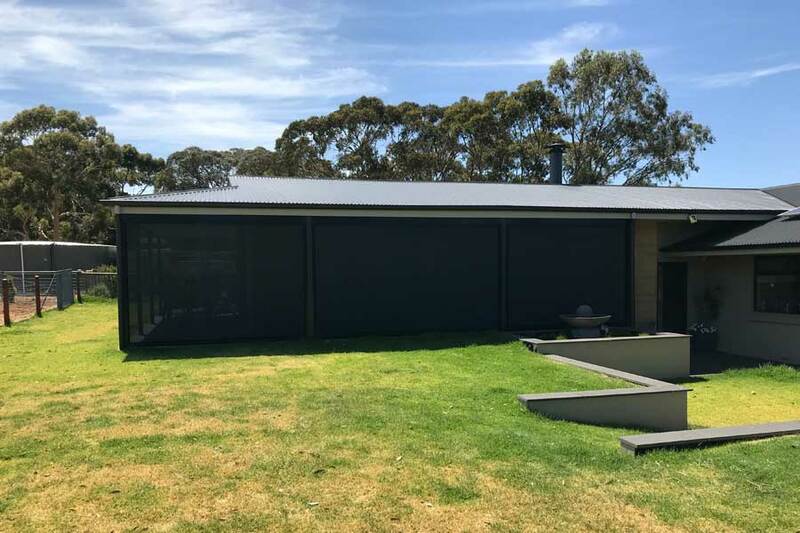 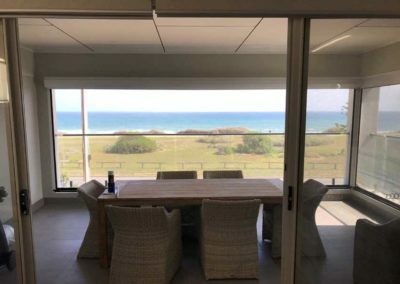 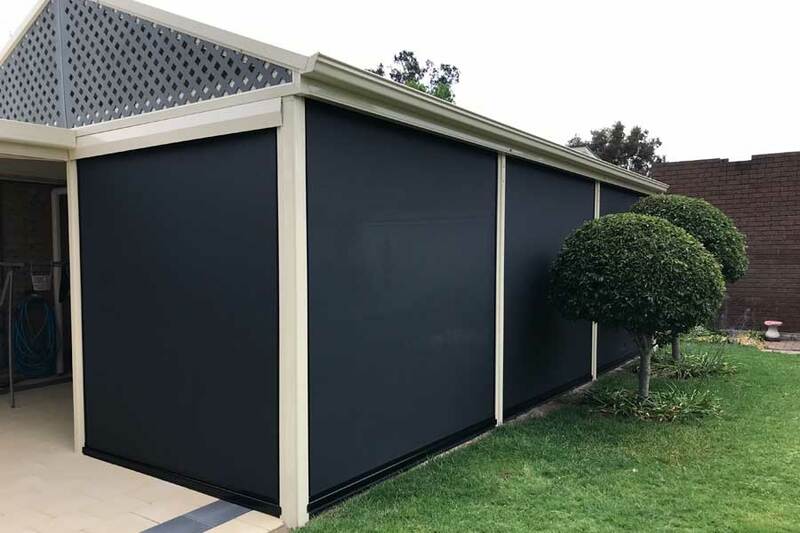 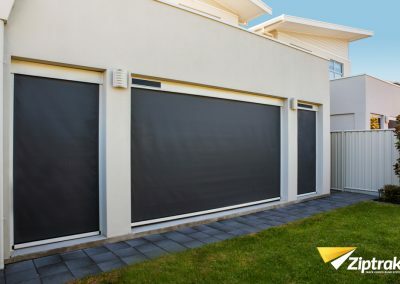 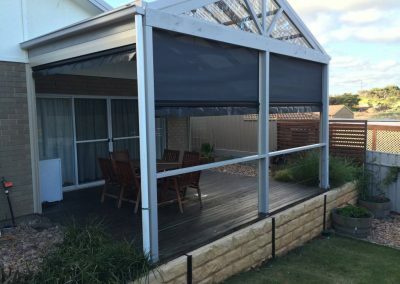 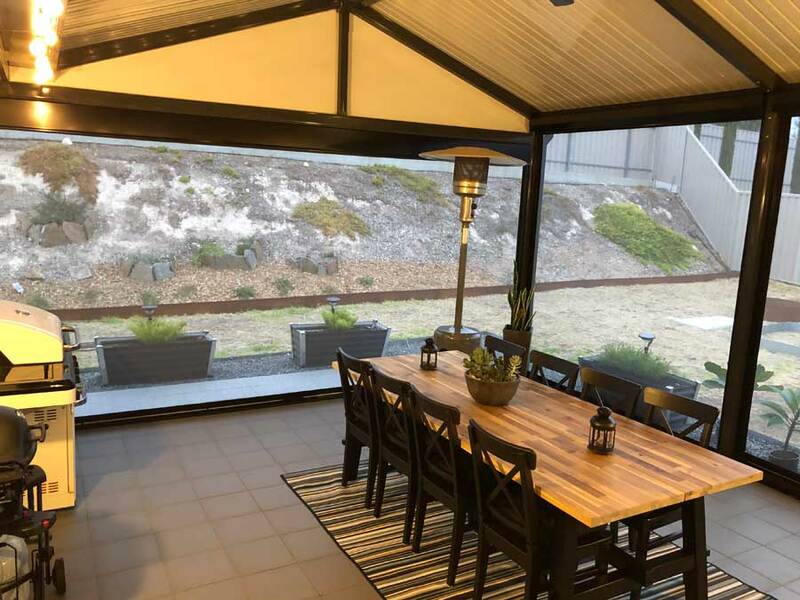 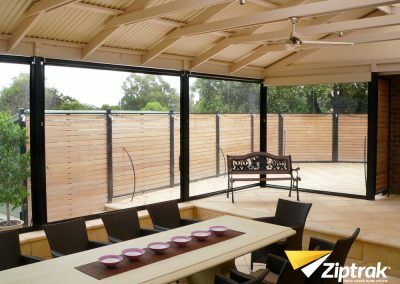 It has high UV and water resistant characteristics It is fire rated and abrasion resistant, offering great shading solutions without restricting airflow or cross ventilation and comes with a five year performance warranty. 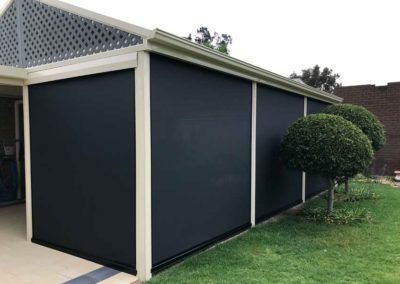 • Blocks out 96% of the wind and rain. • Spans wide distances with no seams. 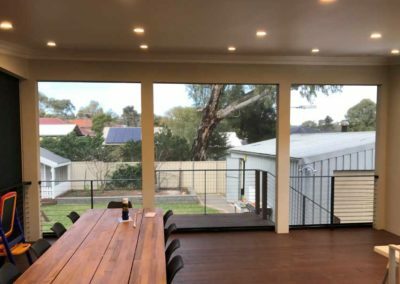 • Fire rated to AS 1530. 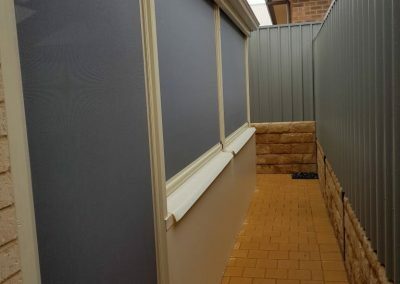 • Choice of 14 colours. 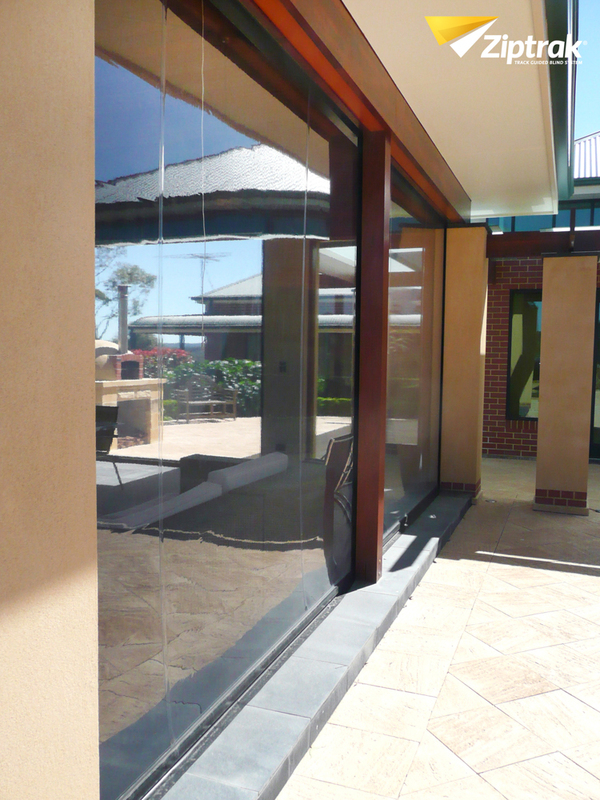 We have small sample swatches if you would like to have a look at the colours against your existing structure. 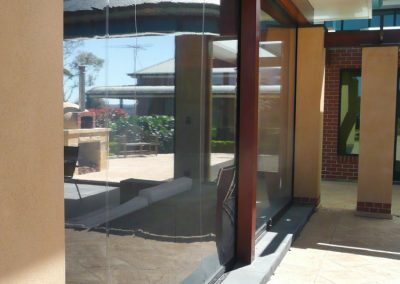 Pop in and pick one up. 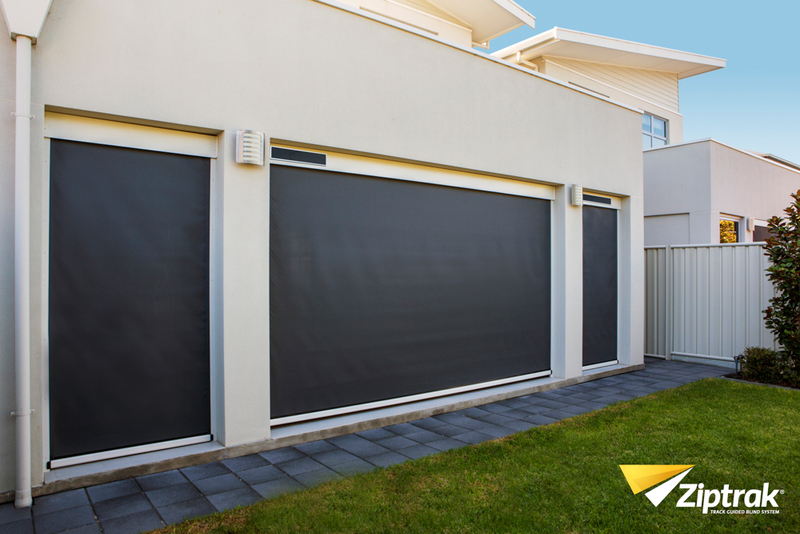  Contact our friendly team to have us come to you.